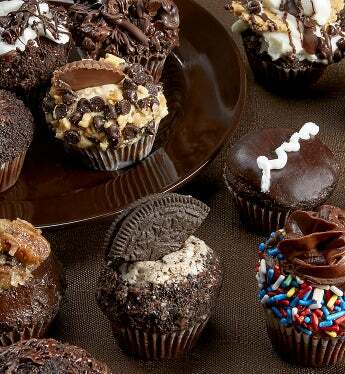 A delicious variety of chocolate lovers mini cupcakes, unparalleled by none! Little Whisk has created such favorites as chocolate peppermint, peanut butter cup, blackout, German chocolate, chocolate caramel, vanilla cream squiggle, S'mores and more! Your recipient can share them with friends or keep them all to themselves! Kosher, OKS.